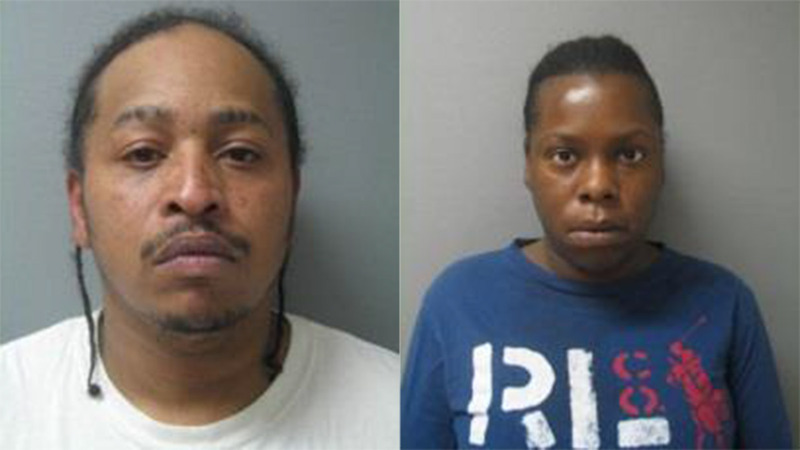 DIXMOOR, Ill. (WLS) -- Two people have been arrested and charged with child neglect after police say they left a 3-month-old baby unattended in hot running water, causing severe burns on its body. Marlon Valentine, 39, and Favian Houston, 29, both of Dixmoor, face charges of endangering the life of a child and child neglect. Police say the two allegedly left the baby unattended in a sink smelling of urine with hot running water, causing second degree burns to five percent of its body. Valentine and Houston also did not provide medical care for the child in a timely period, police said. DCFS also removed two other children, ages 2 and 4, from their residence that appeared underweight and not properly cared for, police said. They were treated at a local hospital and released to another family member. Valentine and Houston were taken into custody Friday and both posted bond.